Few weekends will eclipse the one we have just witnessed for drama and emotion and it feels like the perfect time to take stock. Thistlecrack started the Cotswold Chase at Cheltenham on Saturday with many believing he was invincible but little did he count on one of the bravest horses in training. For the first time in his chasing career we saw Thistlecrack come under pressure during the race with the pace a strong one and it showed as he made one or two novicey mistakes. At one stage he had work to do but he made up plenty of ground to come to the last with Many Clouds and the majority of the crowd only expected one outcome. It wasn't to be though for Thistlecrack as he was beaten by a stunning display from Many Clouds with the former National winner getting the better of a famous duel. In toughish conditions it was the Oliver Sherwood trained horse who seemed to outstay in the Gold Cup favourite but the atmosphere spooned turned sour in the moments after the line. Elation quickly turned to despair though as Many Clouds sadly collapsed and lost his life after a titanic battle, and his performance will go down in history. It was a terrible moment for all involved with the horse but he will be remembered by all as one of the best staying chasers of his generation. As for Thistlecrack, he lost his unbeaten record and his Cheltenham Gold Cup price was pushed out to 2/1, from 4/5,as a result with Bet Victor, and questions will now be asked. one or two continue to question whether or not he wants the Gold Cup trip but connections will hope that better ground in March will see him pick up the biggest prize in the sport. Charli Parcs was a late non-runner which was a shame but in the end we swe Defi Du Seuil claim the Finesse Hurdle in fine style. The Philip Hobbs owned juvenile maintained his unbeaten record with the minimum of fuss, and he was clipped into 4/1F, from 5/1, by Bet Victor for the triumph Hurdle. It would be a surprise if he didn't start favourite for the Triumph in the wake of this latest win. We also saw the Stayer's Hurdle favourite solidify his position at the top of that market with Unowhatimeanharry once again impressive. The Harry Fry trained 9YO has swept all before him this term and he once again travelled very well before beating a rejuvenated Cole Harden up the hill to win the Cleeve Hurdle. Unowhatimeanharry has his detractors but he continues to improve and it is hard to find holes in the horse ahead of the Festival. The Albert Bartlett winner is now 7/4f, from 9/4f, for the Stayers Hurdle having come through his Final trial. Elsewhere on the card, we saw Wholestone winning again at Cheltenham despite the drop back in trip. The Nigel Twiston-Davies trained horse showed he had a little bit of speed, to go with his stamina, in the process of winning the Neptune trial and it will take a good one to beat him at 8/1, from 16s, with Sky Bet for the Albert Bartlett. 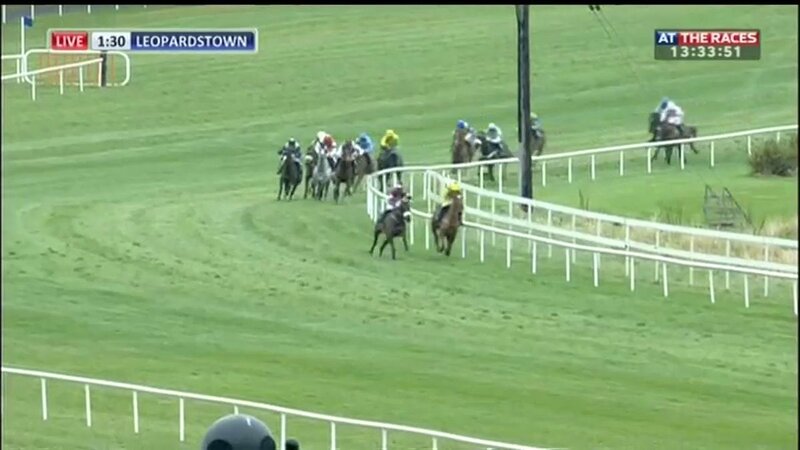 The main card over in Ireland at the weekend was at Leopardstown on Sunday and we saw some terrific horses in action on Irish champion Hurdle day. The feature race suffered in the wake of Faugheen's withdrawal but it was still a good contest for fans to enjoy. Petit Mouchoir was on the sharp end for much of the race and the grey was too good to pass as he claimed yet another big race win. The proximity of Footpad does crab the form slightly but he has done nothing wrong, and at a best price of 13/2 with Betfair for the Champion Hurdle, plenty will be interested in him. There was more success on the day for Henry De Bromhead as Some Plan won the Irish Arkle Chase. He was the only finisher as Identity Thief, Bleu Et Rouge and Royal Caviar all fell by the wayside, but the winner was running a good race either way and an unchanged quote of 25/1 for the Arkle at Cheltenham looks about fair at this stage. The big story of the day at Leopardstown didn't come in the grade 1 races though as the much talked about Melon made his debut for Willie Mullins. A long time talking horse, Melon impressed as he sauntered to victory in what looked like an average enough maiden hurdle. The form itself was perhaps not particularly strong but the visual impression of this horse was one of something potentially special. He skipped over his hurdles and travelled well before pulling clear and sustained support in the wake of this win has meant that he is now a best price 5/1 for the Supreme Novices Hurdle, and he might just be the one to beat in the Festival opener.